Professional Hoarder Cleanup – we understand hoarding! We recognize that hoarding can be the result of a psychological disorder. But not many people realize that it can result in severe health, fire and safety risks. 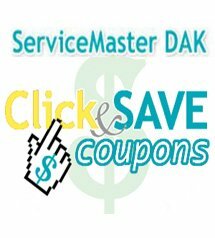 At ServiceMaster DAK we work with you to help restore a safe and comfortable standard of living. Let our trained hoarder cleaning technicians clean and organize your property, so that you, or your loved one, can return to a healthy indoor environment as quickly as possible. Not only will we remove waste and clutter, but we’ll try our best to recover personal belongings, photographs and items of value during the course of our clean up. Our hoarder clean up professionals are people with both compassion and respect. Cleaning an area filled with waste and hoarding debris can be what seems to be an impossible and sometimes dangerous task for someone inexperienced at decontamination and odor removal. 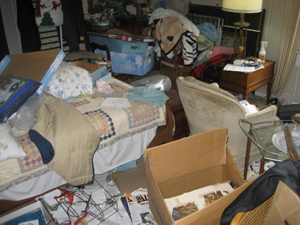 The hoarder’s premises may be infected with contaminants that can cause serious illness if proper precautions are not taken during hoarder cleanup and disposal. 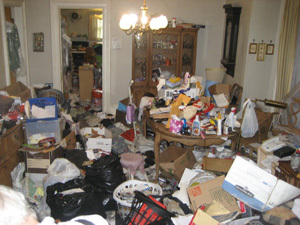 When it comes to hoarder cleanup, trust only the trained professionals at ServiceMaster DAK. ServiceMaster DAK has successfully worked with village management in the North Shore and Northwest suburbs on many occasions cleaning up private residences that suffer from a hoarder. Contact the experts at ServiceMaster DAK if you require hoarder cleaning services for your home, your business or need help with a loved one’s property.